That means in order to really know someone, it’s necessary to break bread with them… many, many times! For that reason, at St. George the second most important hour of our week (after Divine Liturgy) is our fellowship / coffee hour. That is our opportunity to share a meal – and work on that pound of salt. It is our opportunity to bond as a community; to build a sense of family; and to strengthen those ties that bring us together. For those who volunteer to host coffee hour, it is a wonderful ministry you provide within the life of the church! You can make the meal as small or as big as you’d like – and, come fasting time, our fellowship coordinator is happy to help answer any questions you have about dietary restrictions. All plates, napkins, cups, and utensils are provided – as is the coffee. You just setup and bring something that everyone can enjoy. 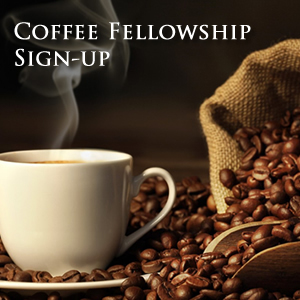 Sign-up online today using our form below and, God-willing, we’ll see you at coffee hour!